We wish to thank Spinal Life Australia for hosting the NIISQ Board on Friday 20 April. 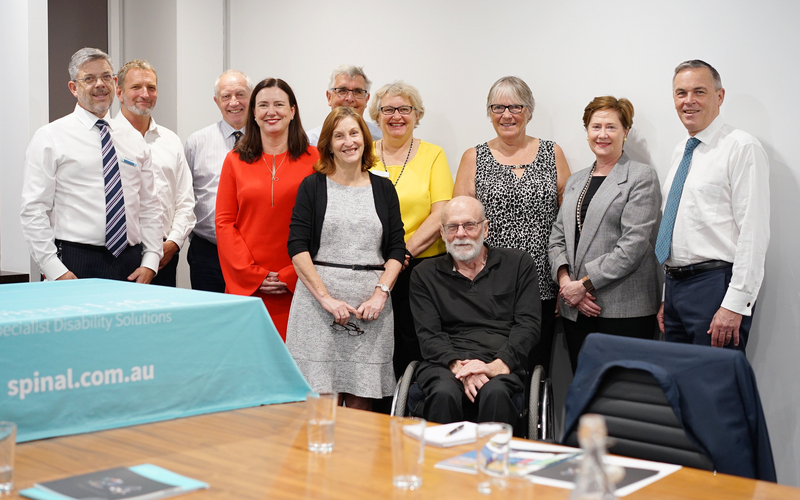 Our Board were honoured with the opportunity to share information about how NIISQ is supporting individuals who sustain permanent spinal cord injuries in a motor vehicle accident in Queensland. From left to right: Michael Powell (SLA CEO), Dr Scott Davis (NIISQ Board member), Neil Singleton (NIISQ CEO), Michelle Morton (NIISQ Board member), Pauline Davis (SLA Executive Manager Corporate Services), Rowan Ward (NIISQ Board member), Frances Porter (SLA Executive Manager Business Development), Alan Ashford (SLA Chairman), Lesley Anderson (NIISQ Board member), Julie-Anne Schafer (NIISQ Board Chairperson), Michael Willis (NIISQ Board Deputy Chairperson).